It’s official: producing video content has become a matter of “when” not “if,” for marketers. And if you’re marketing for a business or at an agency, that “when” should be ASAP -- if not last week. Seriously. When we look at why video content dominates, the stats speak for themselves. Oh, and don’t forget the fact that video is poised to make up 80% of all consumer internet traffic by 2019. The writing seems to be on the wall for marketers to go all-in on video, but even while the statistics are striking, they might not be enough to “wow” non-believers in your camp. In this article, I’ll give you all the tools to get your team and your clients are not only on board with but in love with video. First thing’s first: let’s talk about the wake-up call for why video is so attractive to modern marketers. 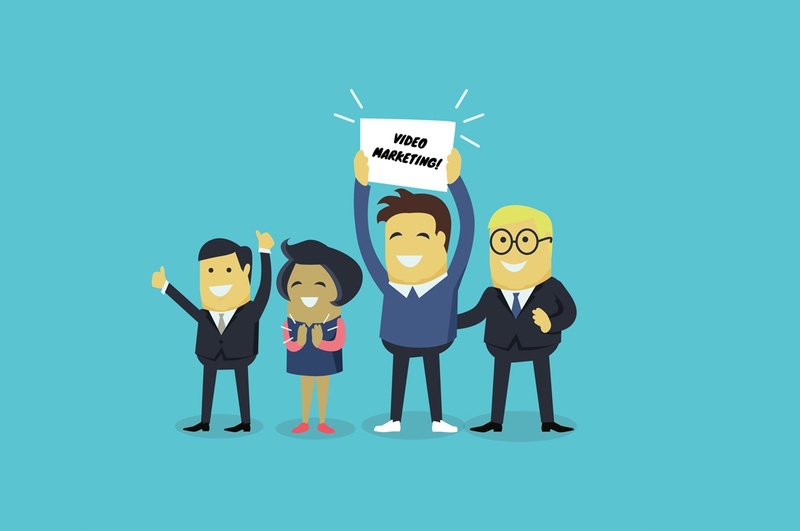 Simply put, video marketing is no longer reserved for traditional producers with big budgets. If you have a smartphone, you can sow the seeds of a full-blown video campaign. In fact, the explosion of social video speaks for itself. Apps like Instagram, Snapchat, Hyperlapse, and Boomerang allow marketers to create their own bite-sized clips in a matter of seconds. Here’s some food for thought: the world’s largest search engine (Google) owns the world’s second largest search engine (YouTube). Video represents a potentially integral piece of you and your customers’ search strategies given how much SEO juice videos can gather. 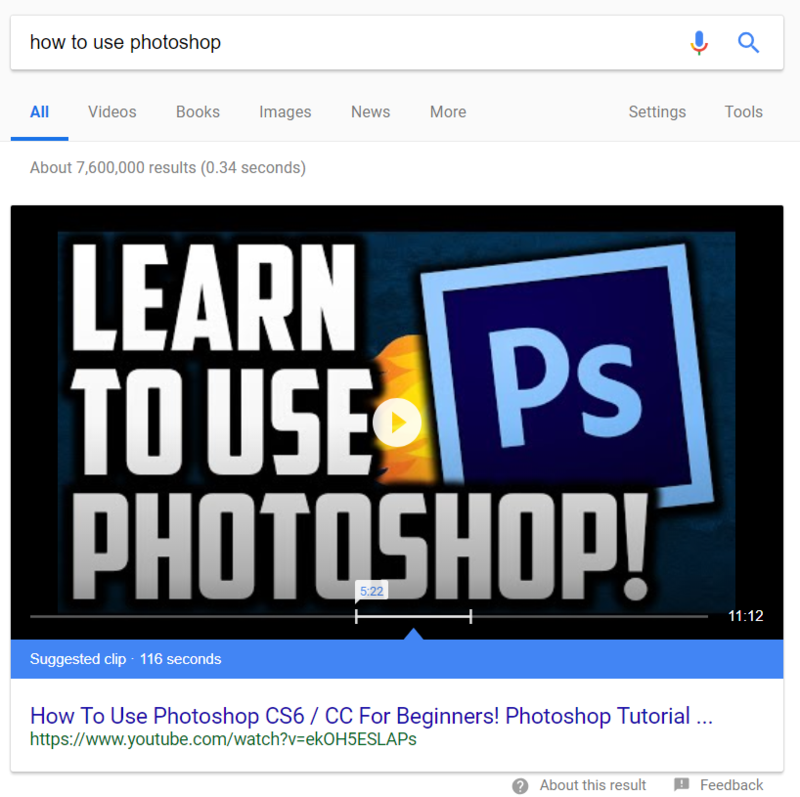 In fact, three of the top five results come from YouTube. 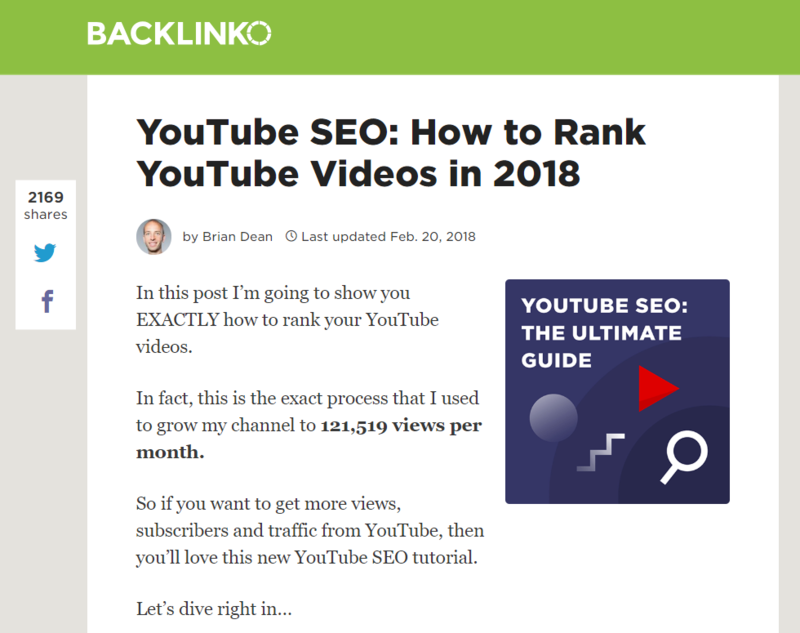 Just as you’d optimize written content, YouTube optimization is becoming more and more important as more readers opt for videos versus blogs. Beyond keywords, video is perfect for both reducing bounce rate and encouraging on-site clicks (hint: both positive SEO signals). Also, there’s the oft-cited case study of on-site video resulting in 34% lower bounce rate. Google takes note of this too and it can impact your ranking. Let’s take a moment to squash the myth that video marketing has to be expensive. While creating your own budget studio is an option, external video equipment isn’t a requirement for modern creators. Look at the explosion of Facebook Live as a prime example. In the midst of its latest algorithm change, Facebook is actively encouraging marketers to create more video. In fact, live video (like the one below from Seth Godin) receives approximately six times as many interactions as any other type of content on the platform. These off-the-cuff clips are unpolished and perfect for viewers hungry for more authentic marketing. No studio necessary. Also, platforms such as Wave.video provide marketers with straightforward, drag-and-drop functions to create powerful videos from scratch. With its endless array of built-in assets, even totally camera-shy brands can hop on board. 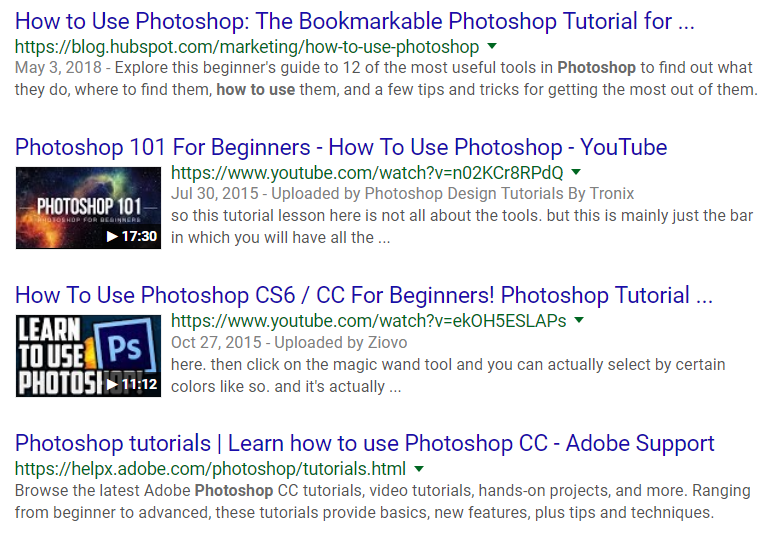 You can even consider incorporating free stock footage to help you can create high-res content even if you’re on a budget. Still don’t think your boss or clients will be convinced? In the rest of the article, we’ll break down just how easy video marketing can be. Despite the low barriers to video marketing, there’s no denying the inherent challenges of content creation. Coming up with an idea. Producing. Promoting. However, so much of the beauty of video marketing is how far you can stretch one piece of content. Enter the world of upcycling. Upcycling allows you to produce dozens of totally unique assets from a single video. Let’s be clear: we are not talking about recycling content. Recycling content is when you can take you or your customers’ existing assets and transform them into video. …and here’s a video created using the same talking points from that post. With upcycling, we’re talking about taking something old and presenting it as something valuable across multiple channels. Think about it: What works on YouTube or Facebook is not identical to what works on Instagram or Twitter. This rings true whether we’re talking about content, formatting, or even details such as video length. For example, this infographic from HubSpot breaks down best practices for video length to illustrate why upcycling is so critical for your video campaigns. These numbers don’t represent hard and fast rules, but they do highlight the different expectations of viewers based on your platform of choice. Let's use Moz’s Whiteboard Friday series as another shining example of upcycling in action. 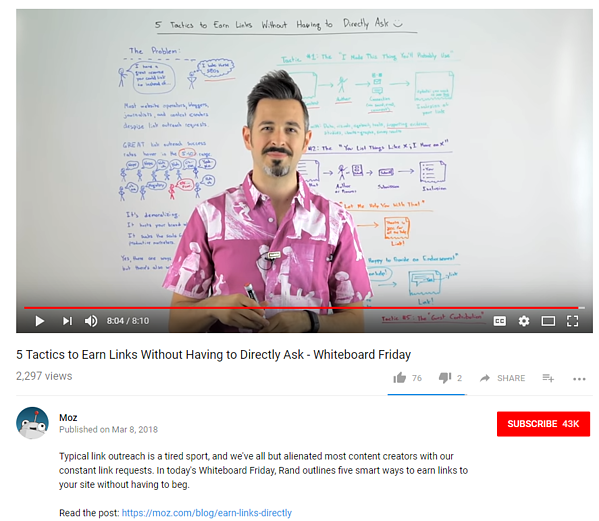 In short, the team at Moz put together a weekly video presentation breaking down a burning question in the world of SEO. 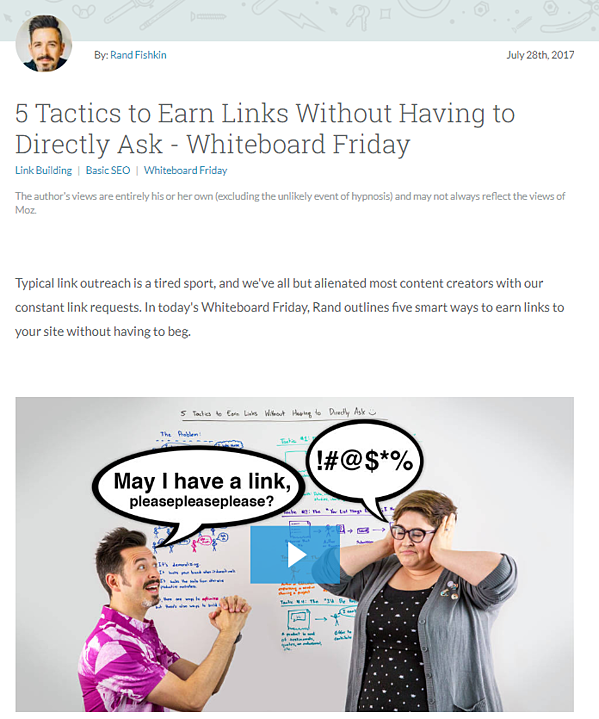 In addition to using that video as an individual blog post, Moz supplements the video with a transcript. 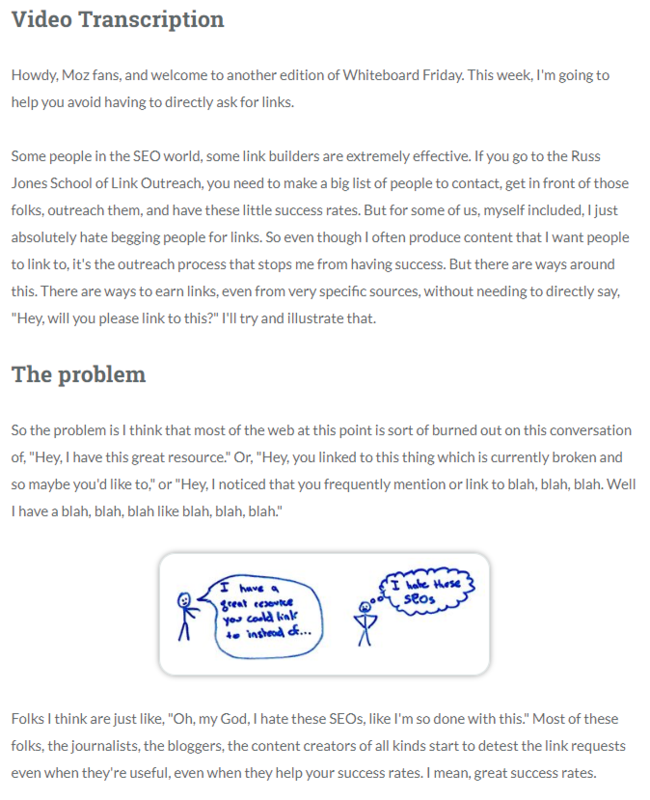 From both a content marketing and SEO perspective, this represents the best of both worlds. From there, Moz uploads the video to YouTube which points directly back to their blog. Then, using a screenshot from that video is used to promote their latest piece of content via Twitter. From a single video, Moz has multiple pieces of share-worthy content to promote as they see fit. Sometimes, however, upcycling involves more than this. Making the most of upcycling means truly customizing your videos based on which platform you’re promoting to. For example, consider the fact that a staggering 85% of Facebook videos are watched with the sound off. In other words, if you uploaded a video to Facebook without captions or in-video text, you’re inevitably limiting your video’s reach. That’s why text-rich videos like those from NowThis are all the rage right now. The takeaway here is that one-size-fits-all video doesn’t really exist. That’s why tools like Wave.video are so valuable. 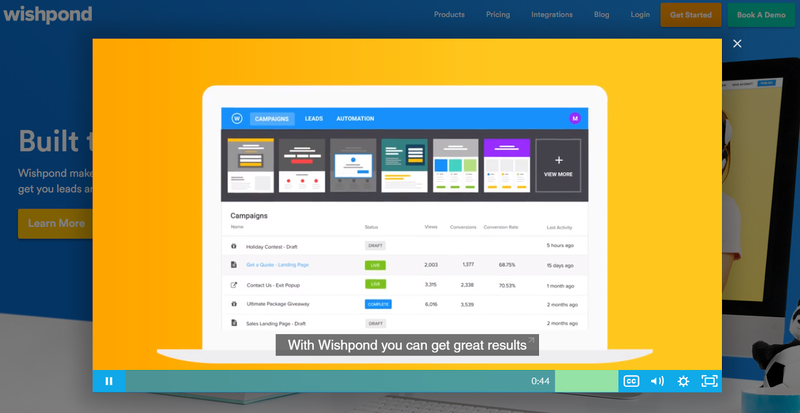 Wave.video allows you to fine-tune your video content based on specific sizing requirements for social sites and ads. In addition, the ability to quickly add in custom text and captions means you can make your videos social-friendly without starting from square one. For bosses or clients still looking to squeeze more out of their video content, consider these additional promotional strategies to get the job done. With Facebook limiting organic reach, there’s a prime window of opportunity for brands willing to invest in Facebook ads. If you have a top-performing video on deck, consider editing for a Facebook audience and putting some money behind it. With their comprehensive targeting options, you’re likely to find your audience quickly and any engagement juice you gain will be there even if your next video upload isn’t turned into an ad. Quora is a totally underrated medium to publish and promote videos, especially given how well question-based queries rank in Google. If you have an educational clip that taps into your audience’s pain points, don’t be shy to post it. Having experimented with video answers in the past, Quora can be an extremely valuable opportunity to expand your reach and establish yourself as an expert. The more places you can find to plaster your videos, the better. Facebook covers represent prime real estate for video marketers, and definitely a way to stand out from the crowd given how video covers are underutilized. Whether they’re promotion-specific or thematic with the holidays, be willing to experiment. Video aside, podcasting is going through its own boom right now. Any long-form conversations or interviews you conduct on video could likely be the perfect recipe for a podcast, granted it’s a topic your audience is interested in. Again, upcycling video is all about taking the old and making it new. Let’s say you cover an evergreen “how-to” topic that totally killed it last year. Why not visit that same topic again in a Facebook Live? Re-opening the discussion with a fresh perspective, coupled with live engagement from your audience is a smart way to get more out of your already well-performing content. How Can You Upsell Video to Your Customers? The power of video marketing is so incredibly well-documented, yet many marketers and businesses still overlook its potential. Creating video is a no-brainer given the platforms and programs (i.e. 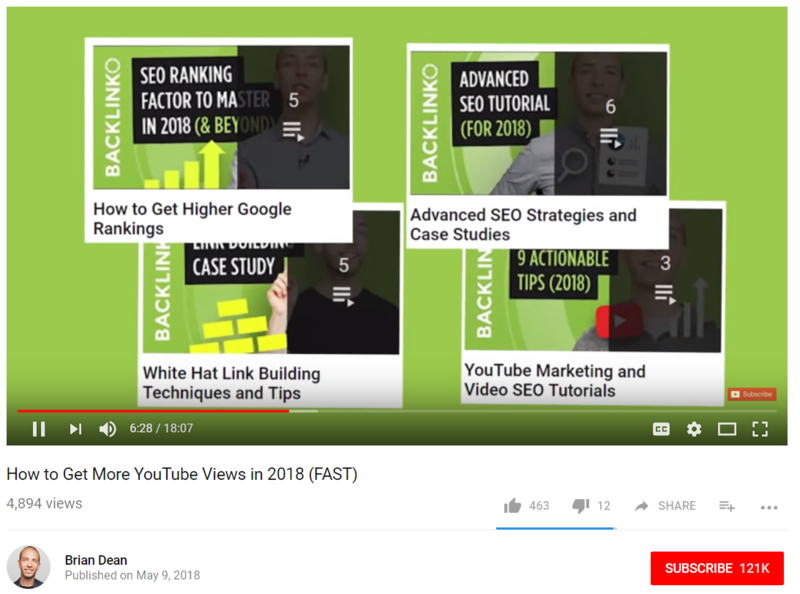 IMPACT’s Film School for Marketers Channel on YouTube) available today. Through consistent upcycling and promotion, brands can stretch their video efforts and budgets farther than they ever imagined. The end result is a constant stream of fresh video that makes a positive impression on potential customers, followers, and leads alike.